This week, our friends over at The Irish Whip Podcast JP and Yeti sat in on the Impact Wrestling "Press Pass Podcast" hosted by Ross Forma and had a chance to talk with Impact Wrestling star MOOSE! JP of course had the question of all questions for Johnny during the Presser and he and Moose took 15 minutes talking Patriot Football, Eddie Edwards, CLICHE New England slang and so much more! 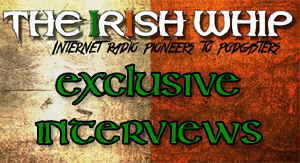 Please support TIW and download the show at this link.